Located north of Covell off of Midwest Boulevard – you will love the convenience of the location and the tucked away feel of this wooded neighborhood! Only 20 homes make up this completed community so it is not often you will find an opportunity to reside in Tangle Vine! Click Here to See Homes Available in Tangle Vine! The magnificent homes in this neighborhood range from 3400-5900 square feet and all sit on wooded lots of 3 acres or more, providing for plenty of privacy and peaceful wooded views out of the windows. 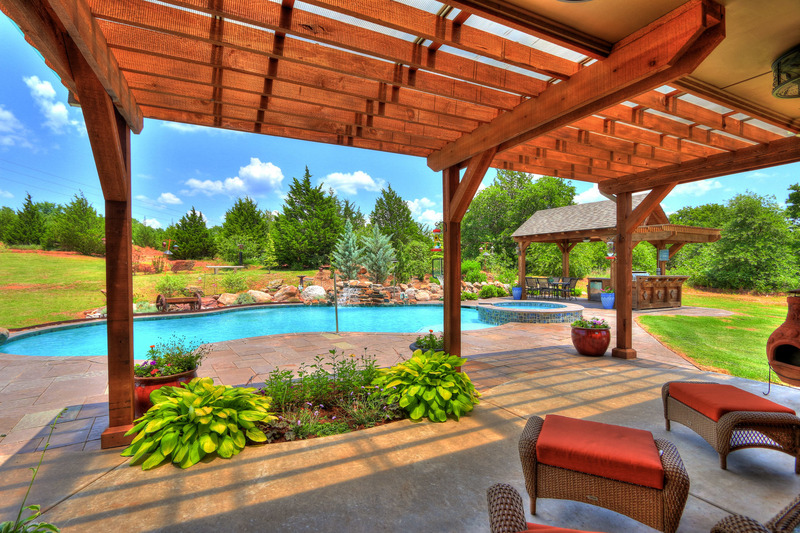 With all the expansion projects going on in Edmond, you will not be far from things to do! The construction of a new sports complex and convention center are under way for Covell and I-35, pop on over to Pop’s on the way to Lake Arcadia, take a class or two at the University of Central Oklahoma, or check out the many shopping and restaurant options along I-35 or further west on Covell. If you love the security of a gated community, the space to roam on your land, and the convenience of being minutes away from restaurants, shopping, and highway access – then this is a neighborhood to keep on your radar!